Located in Fuji-Q Highland in Yamanashi, Japan, the Fujiyama is also one of the longest coasters in the world. 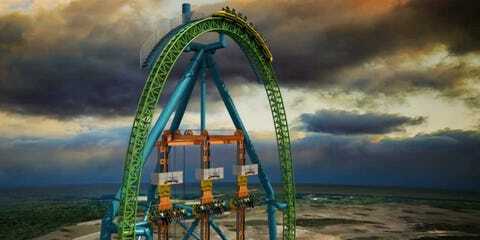 This coaster is at the Six Flags Magic Mountain in Valencia, Florida, the Goliath has some serious G-force. 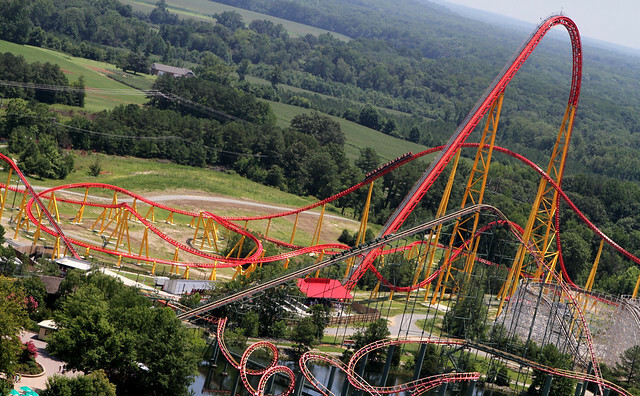 The Intimidator is all about crazy speed and intense adrenaline. This Coaster is located in King’s Dominion, Doswell Virginia. Canada’s Wonderland, just outside Toronto, is home to the first Giga-coaster from Bolliger and Mabillard, despite the wild speed this ride is surprisingly smooth. In Nagashima Spa Land in Nagashima, Japan, the Steel Dragon 2000 still uses the traditional lift hill and gravity to accelerate to face melting speeds. This brand new Giga-coaster debuted in 2015 in front of Carowinds in Charlotte, N.Carolina. This has the fascinating feature of passing below the entrance path. Sister coasters in Happy Valley Wuhai, China. These babies reach 85 mph and can pull 4.5 Gs while descending into underground caverns. Also in Six Flags in Valencia Florida, although it failed to live up to its expectations this coaster has had a overhaul and is now better than ever. This is the cutting-edge tech coaster ride that has broken all kinds of records and it’s in Cedar Point, Sandusky, Ohio. 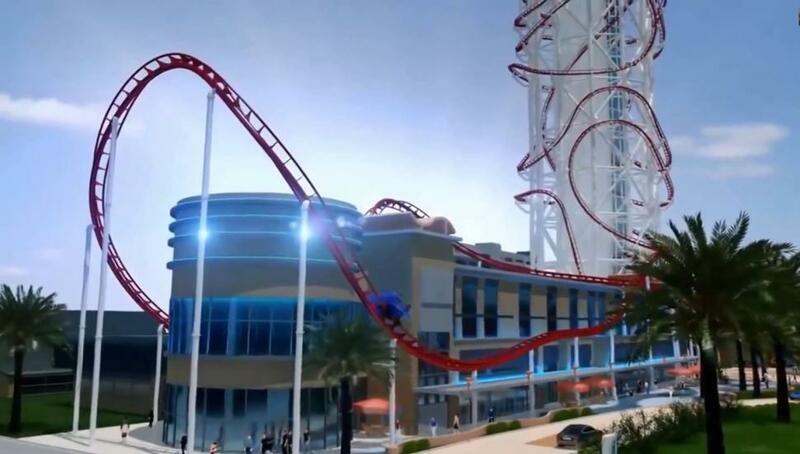 In Orlando Florida they are preparing what is to be the tallest coaster (570 ft); it won’t be ready for riders till 2016. The tallest and fastest Coaster in the US of A. No one can truly call themselves an aficionado till they have traveled the King Da Ka in Six Flags, Jackson, New Jersey. There is none faster in the world than the Formula Rossa coaster in Ferrari World Yas Island Abu Dhabi in the UAE. Created by Intamin AG out of Switzerland, this Coaster Fans is the Ferrari of Roller Coasters.